Just over a week ago Apple unveiled iCloud-the new data syncing and streaming service that will keep all of your data, contacts, email, and music in sync across various devices. As awesome and revolutionary as iCloud seems, though, Ubuntu is already delivering a similar service with Ubuntu One. So, for today's 30 Days With Ubuntu Linux post we're going to take a peek at what Ubuntu One has to offer. I logged in to Windows today, but it was to use Ubuntu--I swear. Well, Ubuntu One at least. Ubuntu One syncs data to the Ubuntu One online servers, and there is a beta version of client software for Windows that lets Windows PCs stay in sync as well. I had to install the required version of .NET framework for the Ubuntu One software to work, but now it runs silently in the background with an icon in the systray. I can right-click that icon and select Open Synced Folders to add folders or access the data I have synced to Ubuntu One. 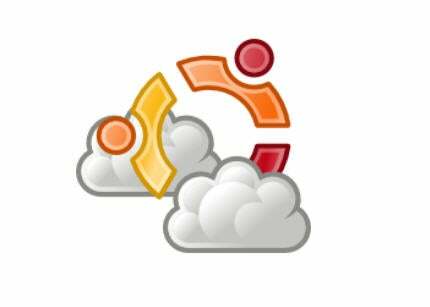 That syncing and streaming promised by iCloud this fall is available today with Ubuntu One. Ubuntu One is also available for both iOS and Android devices. There is an Ubuntu One Music app available on both platforms that can wirelessly stream your music collection to your mobile device. Unlike the iTunes / iCloud solution that will scan your drive and magically populate your online music locker with your tunes, you have to actually upload your music to Ubuntu One. Ubuntu also has its own online music store, though--Ubuntu One Music. The good news is that music purchased from the Ubuntu One Music store is instantly available from your Ubuntu One account, and does not count against your storage capacity max. The bad news is that the Ubuntu One Music store is only available from within Ubuntu, so you can't purchase music from your mobile device, or from within Windows. But, however you get it there--once it's available in Ubuntu One, it streams smoothly over the wireless network to your smartphone or tablet. I had no problem streaming Pink's "Greatest Hits...So Far" after syncing it with Ubuntu One. That was while I was sitting at my desk, though. As I was driving and listening to music from Ubuntu One, the songs constantly paused and restarted depending on my 3G signal. I'm not blaming Ubuntu One, though--iCloud or other streaming services will likely have similar issues with relying on the availability and integrity of cellular networks. The Ubuntu One Music app lacks polish and features. It just lists the artists alphabetically, with a search bar at the top. But, the search function will only search artist names--not albums or song titles, and there is no ability to shuffle all music by an artist, or even shuffle within a given album, nor is there any means of creating playlists. Basically, you have to choose an artist, select an album, and listen to it straight through.